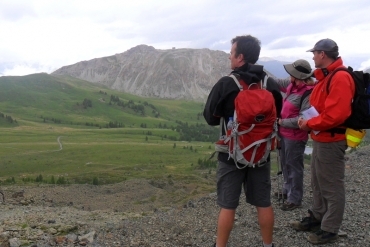 This IOL approved 2 day expedition leader training is a fun and informative course giving you the hard and soft expedition leadership skills required to lead your own expeditions or fieldwork trips. Expedition Industry: Opportunities, qualifications and training, along with a discussion of their pros and cons. Expedition leadership: What is involved in expedition leadership - styles of leadership and their appropriateness to different types of expedition. Soft skills: In many ways the expedition leader’s greatest assets are their soft skills. We will look at scenario discussions, practical exercises and also look at reviewing and personal development on expeditions. Expedition Pre-Planning: We will look at the main documents which will form a central part of any expedition plan - the Risk Assessment and the Crisis Management Plan. We will also look at other planning such as food and kit provisioning. Extended Expedition Scenarios: Risk assessments, crisis management plans etc are too often seen as a necessary evil which take up a lot of time and then sit mouldy in the bottom of a rucksack. Using a combination of discussions and practical sessions we will look at real life examples of why the paperwork is important and how it can be actively applied and adapted in the field. 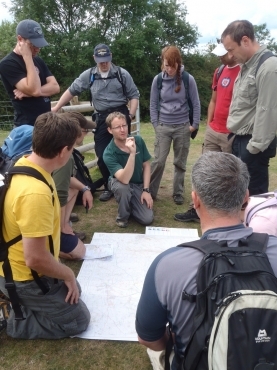 Our expedition leader training uses scenario based exercises to look at the soft skills which are vital in expedition leadershipas well as looking at pre-planning and dynamic safety management during the trips. This course looks at the logistics of organising and leading an expedition and follows the stages through from planning on paper to applying this paperwork actively in the field. We'll also look at opportunities in the expedition sector and structures for qualifications. • Leaders who have worked in the outdoors (for example through the military or in outdoor education) and want to get into expedition work. • People who have done an expedition as a team member and are interested in getting to the next stage. • Anyone planning or interested in running their own expeditions or overseas fieldwork projects. • Leaders who want to develop their expedition specific skills. Many of the participants are often active in the outdoors professionally or personally. However no previous experience is necessary and it would equally suit anyone planning to get involved in an expedition for the first time or just interested in learning more. I've always wanted to start working in the expedition sector, but never really knew how to get started. The course gave me a much clearer idea of the opportunities out there and gave me valuable skills to get started.